It's a convenient walking location. The Casco is nice. Excellent location with walking proximity to everything in Casco Veijo. The staff were very accommodating and friendly. We had an amazing view of the city from our balcony. The bed was very comfortable. We enjoyed our stay regardless of the negatives. The service, food and room were great. Staff were friendly. We loved the view and the small balcony overlooking the Bay and city skyline. The room was very nice, spacious and nice style. Location of the hotel is good. Great location. This was our second stay. The staff are nice but due to construction did not really seem present. We like the loud music and checking out the action from the balcony. The Kiliman suite is spacious and has a great balcony. We had hot water but sounds like not all rooms do. 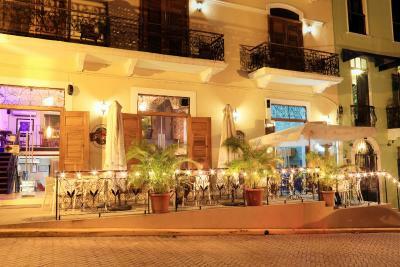 Great location in Casco Viejo, albeit very loud at night because of the proximity if all the nightclubs. The staff was very accommodating, and the room was lovely, but needs an update. The room was everything they advertised, really great! The hotel was undergoing some reconstruction, and they informed us of that prior to our stay, so that was OK. The night mgr was very helpful, although the promised pkg breakfast never materialized (We had to leave at 0430 AM). OCTOBER 2018 - Major renovation - Adding new roof top bar and elevator...a WONDERFUL bay & city view!! We are return guests...once renovations are complete it will be great!!! Check to see if renovations will effect your visit. Location was good and staff was the best (very friendly and helpful). Hotel Casa Antigua Panama This rating is a reflection of how the property compares to the industry standard when it comes to price, facilities and services available. It's based on a self-evaluation by the property. Use this rating to help choose your stay! 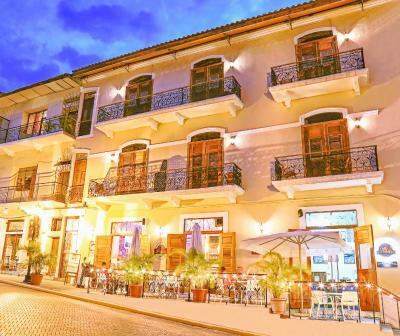 One of our top picks in Panama City.Located in Panama City’s historic center, Casa Antigua Panama offers stylish apartments with free Wi-Fi and a communal terrace with stunning city and sea views. Panama City Cathedral is 650 feet away. Each elegant, air-conditioned Casa Antigua Panama apartment features a living-dining area with cable TV, a private bathroom with free toiletries and a fully equipped kitchen. Many also have a balcony with great views. A range of bars and restaurants can be found within 650 feet. The seafront promenade is just a 1-minute walk away. The Albrook, Multicentro and Multiplaza Shopping Centers are all within a 10-minute drive of the property. The Panama Canal is a 25-minute drive away, while Tocumen International Airport is a 35-minute drive away. When would you like to stay at Hotel Casa Antigua Panama? This elegant, air-conditioned apartment with a queen size bed, two bathrooms, lounge/dining area and kitchen. It features a balcony with views of the city and the Bay of Panama. This elegant, air-conditioned loft-style apartment with a queen size bed, lounge/dining area and kitchen. It features access through spiral stairs to the hotel rooftop terrace with views of the city and the Bay of Panama. Double room with a king size bed, breakfast bar, and a small kitchen. 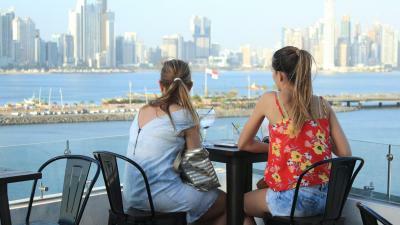 It features a small window with views of the city and the Bay of Panama. Loft-style apartment with a queen size bed, no view. It features a spacious lounge/dining area and kitchen. Suite with a king size bed, lounge/dining area and kitchen. 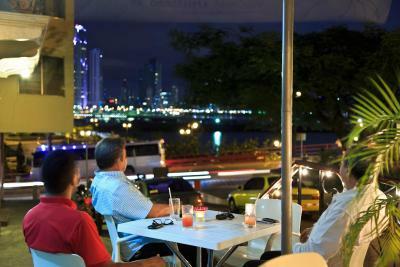 It features balconies with views of the city and the Bay of Panama. This double room features a seating area and a fully-equipped kitchen. It offers a king-size bed, and private access to the common terrace which offers views of the sea and city. This suite features a balcony overlooking the sea and city. It includes a dining area, a full kitchen and a king-size bed. This unit is fitted with two rooms, a dining area and a kitchen. It includes a queen-size bed, and a double bedroom (one double bed ) this one has a bathroom inside need to share. There is a balcony overlooking the sea and city. 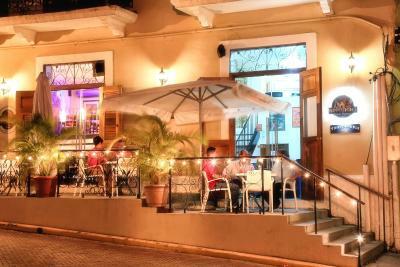 House Rules Hotel Casa Antigua Panama takes special requests – add in the next step! Hotel Casa Antigua Panama accepts these cards and reserves the right to temporarily hold an amount prior to arrival. You must show a copy for both sides of a valid photo ID and credit card upon check-in. Please let Casa Antigua Panama know your expected arrival time at least 1 day in advance. You can use the Special Requests box when booking or contact the property using the contact details found on your booking confirmation. Beautiful room. Great breakfast. Nice people at the hotel. Beautiful view to the water. No parking on site and street parking hard to get a spot. Bedroom 1 faced the street, lots of honking and traffic noise throughout the night. One bathroom shared off 2nd bedroom. Location was right in the mix of Casco Viejo and walking distance to all amenities. Staff were friendly and very helpful. Views off balcony breathtaking. Fully stocked kitchen and super comfortable bed. It's extremely noisy, too expensive, and there were repeated problems with utilities. It was extremely noisy at night with loud music from the different bars and rooftop patios that you could hear very late into the night, as well as the continuous sound of honking car horns. If you’re a light sleeper, and you’re staying here on the weekend, this might not be the hotel for you. The location is only a few minutes walk away from everything in Casco Viejo, and the price for the suite I stayed in (the Chagres Suite) was great considering it came with a kitchen and living room area. Expensive for run down facilities. A/c was noisy and music from the bar went on all night!! We had to request more soap and towels on a couple of occasions. Stayed in a suite/efficiency setup and the floor was not swept daily and lighting was poor. Fan connected to the light in the bathroom was very loud. Also, connection to WiFi wasn’t good initially and had to have the room cards re-programed twice, Included breakfast was below par and ended up getting our own food at a local supermarket. Nice view from the balcony. Good location. They have a rooftop bar/nightclub that was only one floor above us ( there are only three floors, plus the roof). They play loud hip hop music until 02:30!! The booming bass kept my partner up. The breakfast doesn’t start until 08:00 (and is not served on Sunday). We had plans to tour around that had us start our day before 08:00 every day except our last, so we miss out on the breakfast offering. Then we did go down to the breakfast on the last day: egg/wonder bread toast/ sausage or pancakes, and coffee OR juice was available! We elected to eat elsewhere. There is a box breakfast available on request: wonderbread sandwich with a single slice of ham and cheese (no condiments), apple, fruity/sugary yogurt, and granola bar. The women at the front desk was WAY put out when we asked for one. It took three phone calls to finally get it. We didn’t try again. The pots and pans in the kitchenette were old and VERY worn - I think there used to be a coating on them like Teflon, but that has been scraped away. We used the pans to warm up empanadas for breakfast. Lastly, we had a coffee maker that used coffee pods ( a common brand found in all the local groceries). There were none in the small dish next to the machine, so we asked for more. 5 days later they finally got some for us!! The front desk is only manned from 08:00-17:00, and this optimistic - many times there was no one there. Overall, they don’t seem to be geared up for North American tourists. Lacking in some basic hospitality. Great location in old town. Easy access to the walking paths, restaurants, museums, churches, and shops. Our room was clean, and I loved the ocean view balcony. Gretta helped book an alternative tour when ours was cancelled. Very nice. Room 8 is right below the roof-top bar. The music in the room is nearly as loud as in the bar. It was not possible to sleep until 4am as the bar closed. This room can"t be provided to guests. The room itself isn't in the best condition. Only the bed was good. I was reassured at time of booking that renovations would be complete at time of arrival. Not true. Lobby was a mess and still under construction. Rooms, though clean, were extremely noisy, worse those with widows facing outside. Our room was virtually windowless, other than glass panels across the bottom floor and the loft whose "windows" faced out to the elevator, from which not only the elevator's ups and downs could be seen from the bed, but from which likewise, elevator occupants had a bird's eye view of our bed, while assending and descending. Kitchen amenities were sparce though advertised to be a studio/apartment. Not even coffee cups were available, even if we had had our own coffee fixings. No staffing available during non-work hours.